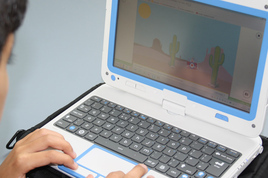 All these examples have been created by students using TouchDevelop. If you would like us to showcase your game or app, visit our blog page to submit your entry. Disclaimer: Due to the high number of submissions, we cannot always guarantee to showcase your game or app. This multi-coloured cube was created by Alex Parnham using TouchDevelop. Click here to run the app and view the code. 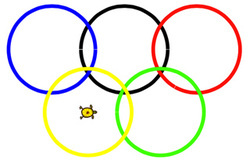 These Olympic rings were created by James Mitchell using TouchDevelop. This WInter scene was created by Parmjit Gill using TouchDevelop.